There are hundreds, if not thousands, of tile types, styles, shapes, and designs. 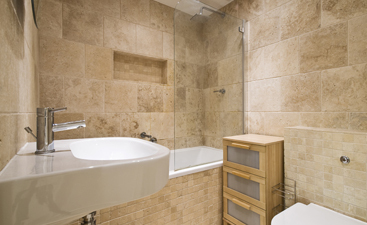 It can be overwhelming to sit down and simply decide which style you want, whether Mexican tile or stone tile. What’s more, you get to choose the color and shape of the tile type you choose. Selecting the best tile for your space is a multistep process that can leave you wondering why you decided to remodel or renovate in the first place. In this post, Transworld Tile will be sharing the five best tips to choose the perfect shape and size for your Saltillo tile. 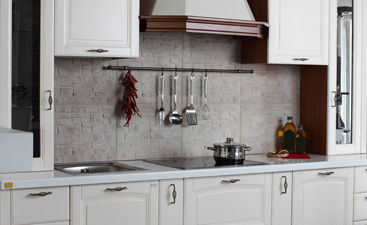 If you’re in search of a quality Mexican tile with attractive aesthetics, the Saltillo is a great option. It’s important you assess the space you’re adding your Saltillo tile too. This can be just as important as the cost of the tile itself. The shape and size of your eventually installed tile will present a feeling and aesthetic that can make or break the room. You want to achieve the former. 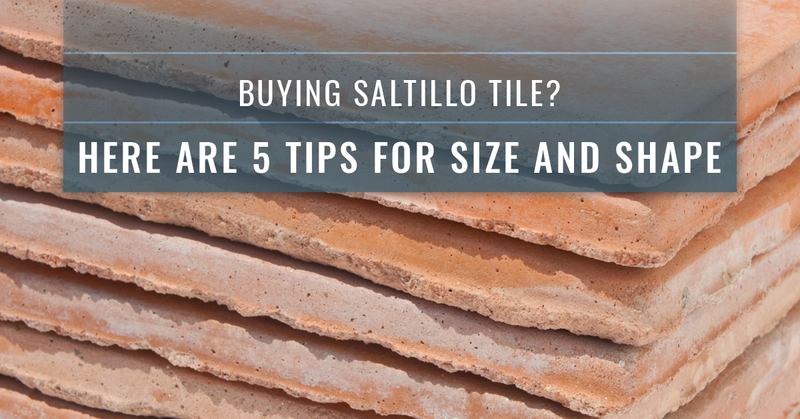 Match the size of the Saltillo tile to the size of the space. For example, a larger space can use larger tiles, and the smaller space works better with smaller tiles. It’s highly advised to set a hard budget before going shopping for your Saltillo tile. A common mistake homeowners make is not setting a budget. They overspend and then do not have enough to complete their entire project. 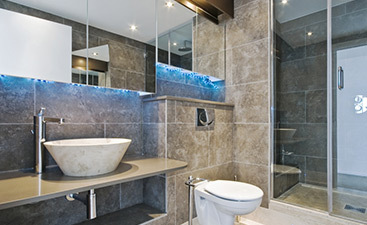 Once your budget is set, you can then start searching for the best deals on tile. Search for bulk purchases, as these can bring down the cost per square foot. Every construction project has waste. So do tile projects. When you maximize the use of your Saltillo tile, you spend less on material. Also, minimizing waste helps the environment. You may be wondering why the ceiling height matters to the size and shape of your Saltillo tile. Here’s why: The further the ceiling is away from the floor, the larger your Saltillo tiles need to be. This is a play on perception. If you have a high ceiling with smaller tiles, it will make the room feel misshapen. Balance your tile size and shape with how high the ceiling is to create a balanced feel in the space. One of the best features you can take advantage of with Saltillo tile is the ability to make a statement. The luxurious, decorative designs and styles you will find with Saltillo tile can take a space in your home from average to amazing. Don’t be shy. Make a statement. After 30-plus years in the tile industry, Transworld Tile is a leader. We’re on a mission to help homeowners and contractors find the exact tiles they need to create beautiful, unforgettable spaces. When you choose Transworld Tile, you get outstanding tile products for an affordable price. Contact us today or visit our showroom in San Fernando.